Oregon restaurant owners are familiar with the struggle of balancing, attracting, and retaining talent, while maintaining profits to compete in a tight labor market. In a changing culture and economy, employers may consider unique and creative ways to address this tension. For example, some restaurants experiment with alternative tipping models such as mandatory service charges. Regardless of the business model or approach taken, Oregon restaurants should be aware of the following legal updates on employee pay and scheduling. Specifically, Oregon’s new minimum wage and predictive scheduling law became effective July 1, 2018 and employers should have an understanding of tip pooling as well. The first change to keep in mind is that Oregon’s minimum wage increased as of July 1, 2018. Pursuant to Senate Bill 1532, the minimum wage increases annually in Oregon between July 1, 2016 and July 1, 2022, and minimum wage requirements vary by county. The minimum wage is now $10.75 for Standard counties, $12 for Portland Metro counties (within the Urban Growth Boundary), and $10.50 for Nonurban counties. To ensure compliance, Oregon businesses can reference the Bureau of Labor and Industries map outlining the county divisions as well as Metro’s Urban Growth Boundary lookup tool. As a reminder, tip credits are not allowed in Oregon, so employers cannot include tips in the amount to be paid under the minimum wage law. Unless there is a valid tip pooling arrangement, all tips must remain the property of the employee. Tip pooling is now a legal option for compensation structure, although there are still current issues and ongoing ambiguities, including a recent lawsuit in a district court in Texas. 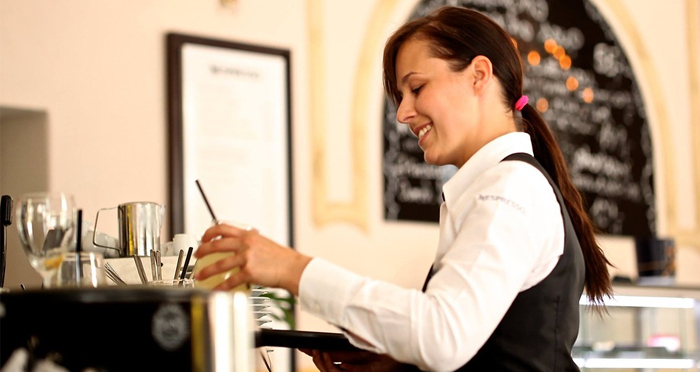 Earlier this year, Congress enacted amendments to the Fair Labor Standards Act explaining that employers cannot keep tips received by employees for any purposes. Managers or supervisors cannot keep any portion of employees’ tips or share in the tip pools. The Department of Labor’s 2011 regulations previously prohibited tip sharing with non-tipped employees, even when the employer did not take a credit. On April 6, 2018, however, the Department of Labor issued Field Assistance Bulletin No. 2018-3, which provides that employers who pay the full minimum wage (all in Oregon since tip credits are not allowed) are no longer prohibited from allowing employees who are not customarily and regularly tipped to participate in tip pools. Employers should also be aware of other state requirements and remember this is an evolving issue with several uncertainties remaining. For example, two restaurant industry groups sued the Department of Labor on July 6, 2018 arguing against the policy mandating tipped workers be paid the full minimum wage for time they spend on tasks that do not generate tips when side duties make up at least 20 percent of their weekly hours. This case should not impact Oregon businesses since tip credits are not permitted, but it is something for those doing business in other states to watch. Oregon restaurants are free to use tip pools but cannot use tip credits, as mentioned above. When aiming to attract and retain talent, tip pooling may be one approach to consider since those who are not customarily tipped, such as cooks and dishwashers, can now participate in the tip pools. Employers should also be aware of legal updates on employee scheduling. Last summer the Oregon Legislature passed Senate Bill 828, making Oregon the first state to implement a predictive scheduling law, and the majority of the law became effective on July 1, 2018. The law applies to employers with 500 or more employees worldwide in retail, hospitality, or food services (“covered employers”). This also includes separate entities that form an integrated enterprise based on interrelation of operations, shared common management, centralized control of labor relations, and common ownership or financial control. The Fair Work Week Act applies to covered employers’ nonexempt employees. Covered employers must provide employees advance notice of their work schedule or the employee will be entitled to additional compensation. As of July 1, 2018, covered employers must give employees a written work schedule at least seven calendar days in advance, and this increases to 14 calendar days beginning July 1, 2020. Further, at the time of hire, covered employers must provide a good faith estimate of employees’ work schedules, including the median number of hours expected to work in an average month, and information about voluntary standby and on-call shifts. Employers should be aware of these legal updates, especially when considering alternative compensation structures. We encourage employers reach out to counsel to ensure compliance with requirements for employee pay and scheduling. Heather Fossity is an attorney at Barran Liebman LLP. She defends employers and management in a variety of employment matters, while serving as proactive counsel.